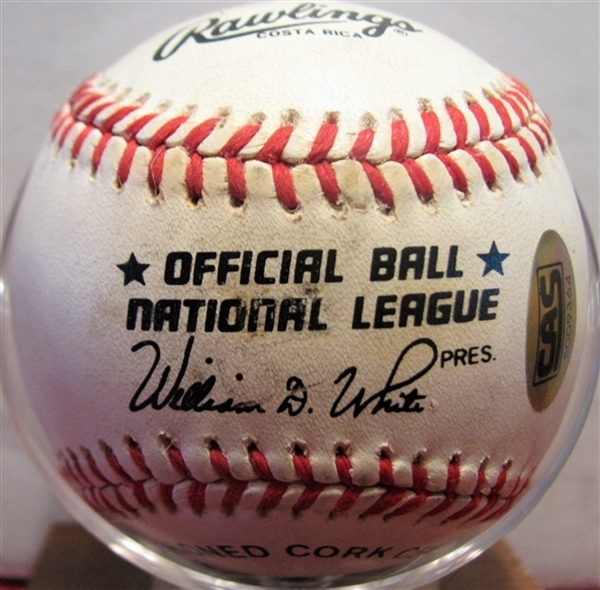 Bobby Thomson and Ralph Branca signed Official National League Baseball. 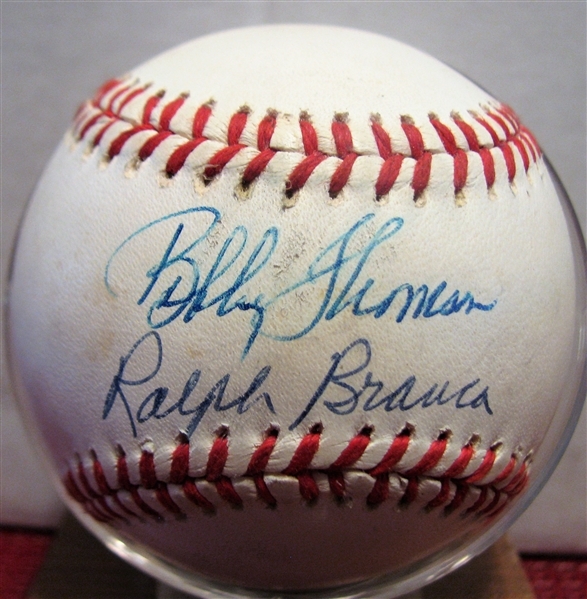 They signed in blue pen across the sweet spot. 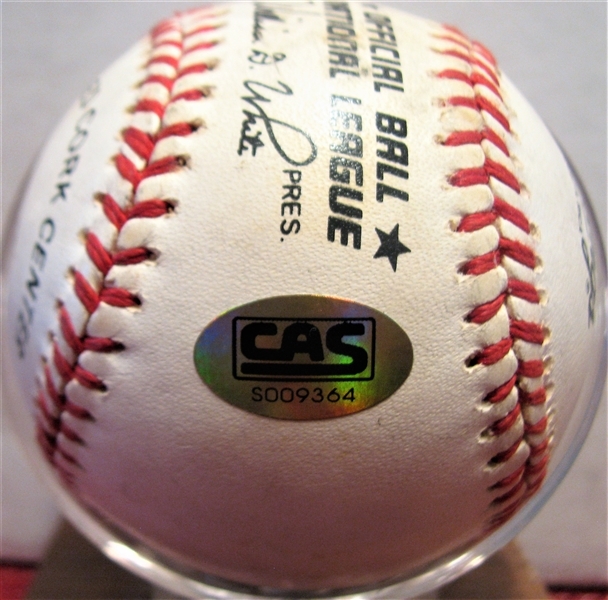 The ball has a few small areas of light discoloration, but still displays nicely. 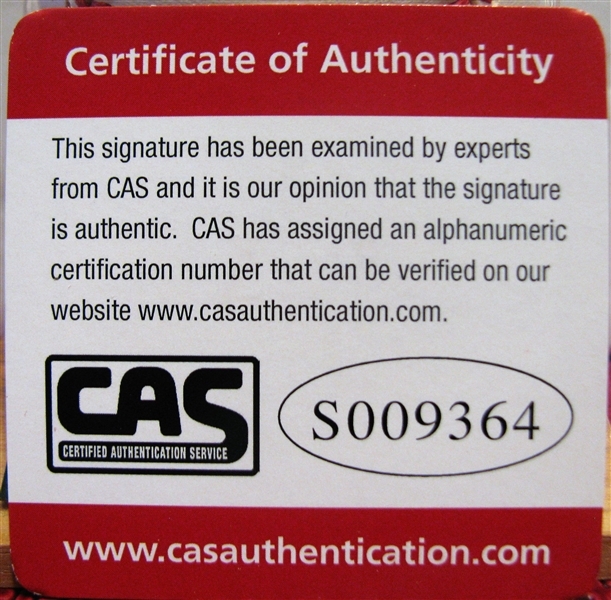 It also comes with a COA from CAS Authentications. A note about CAS. Mike root who was a lead authenticator for JSA and SGC has now opened his own authentication business called CAS. Mike has been authenticating autographs for ITPC for many years and now will be doing it under the CAS name.